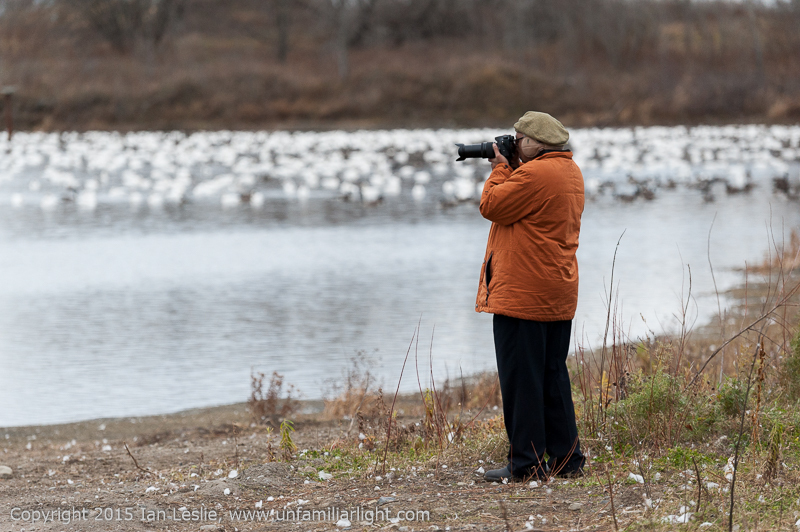 I spent a day with some other photographers from the RA Photo Club near St. Isidore Ontario taking pictures of snow geese. 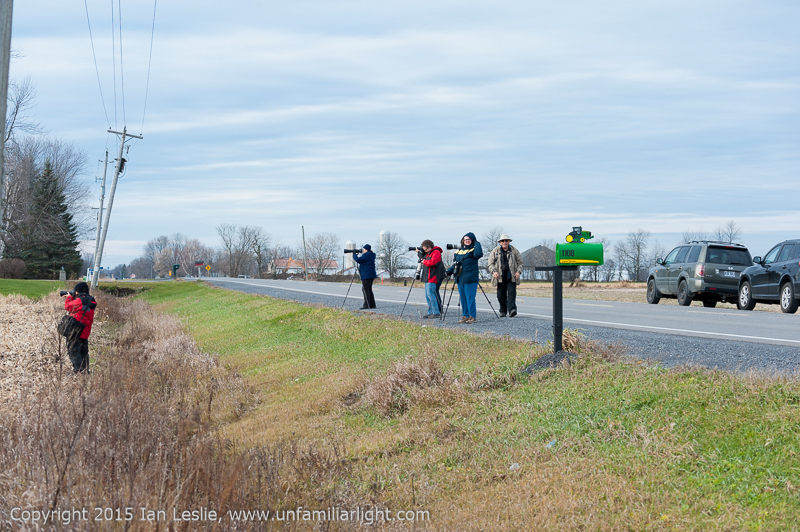 We started our search near the sod farm near the 417 highway. 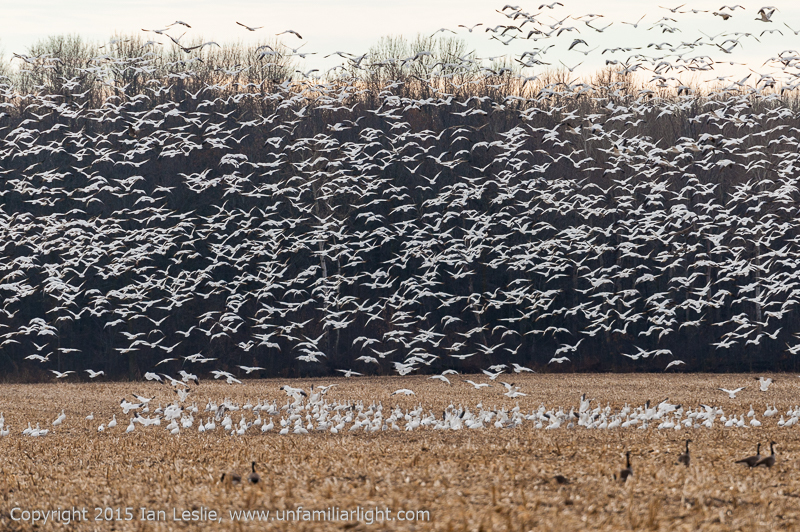 We watched them fly in overhead but very few snow geese landed on the sod farm. 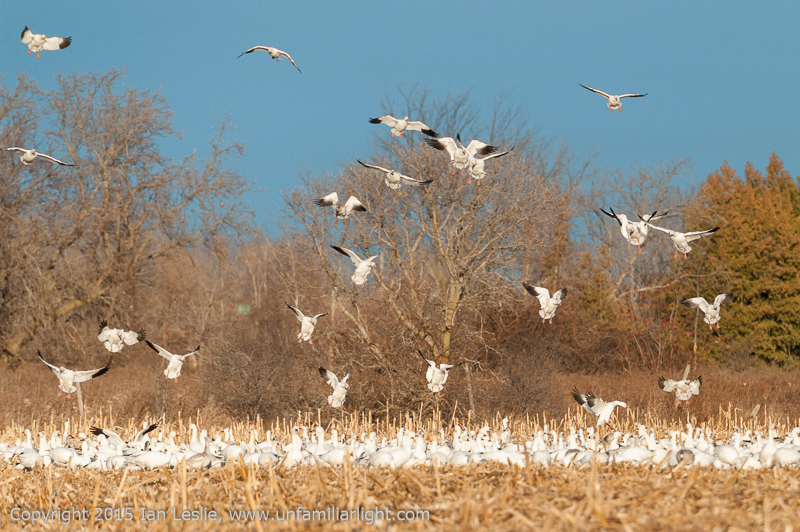 We could see that the snow geese were coming down near by. After some scouting around we found them first in a small field north of the sod farm. 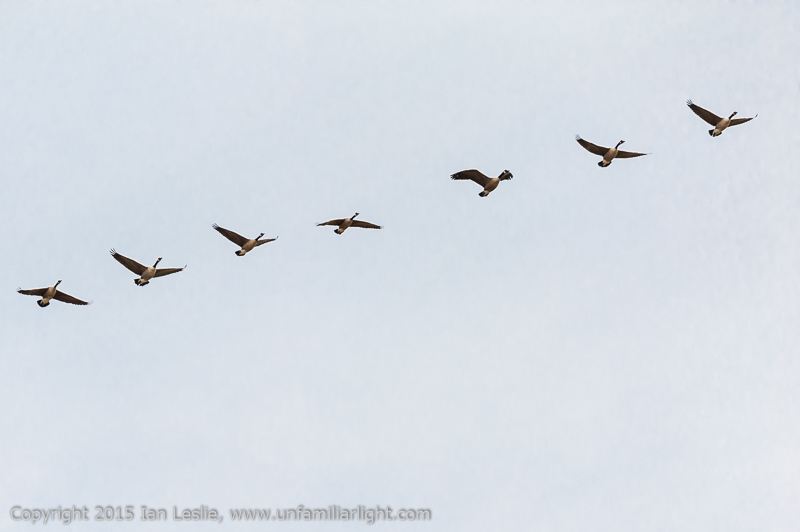 After they flushed and left we had a break at the local Tim Horton’s and then headed towards Winchester. 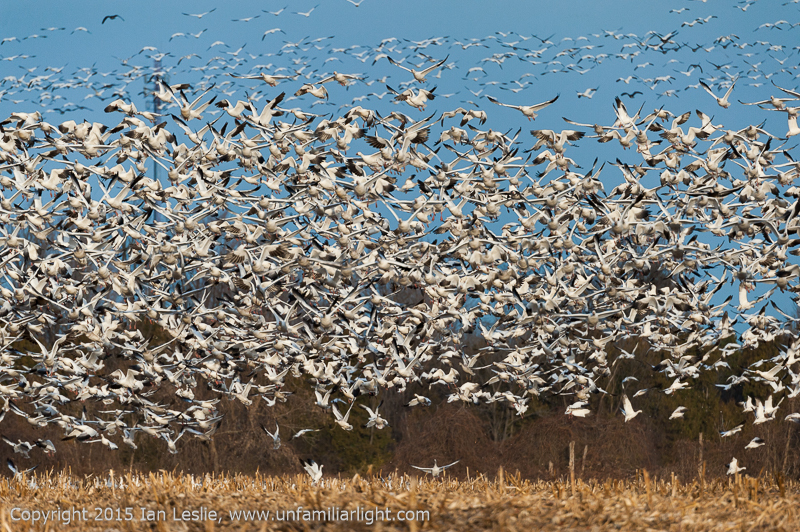 We found another flock of snow geese in a field near the road and spent some time photographing them. 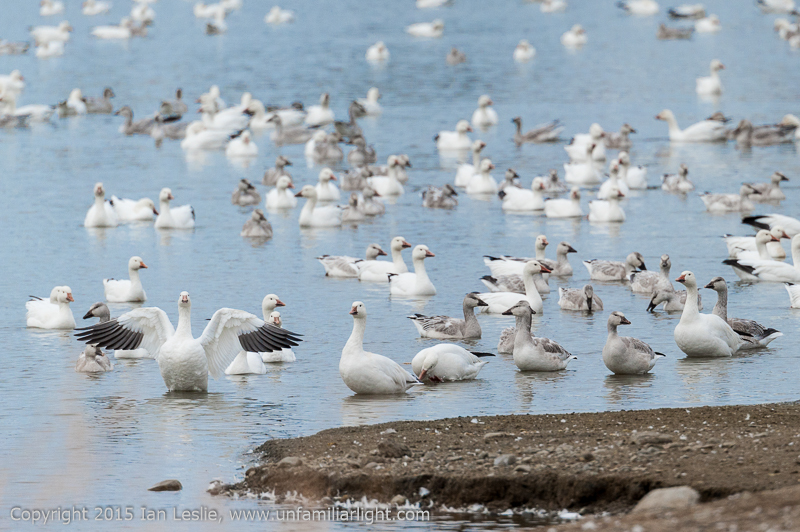 Then we found a very large flock of snow geese on the water treatment ponds near Winchester but were not able to get very close. 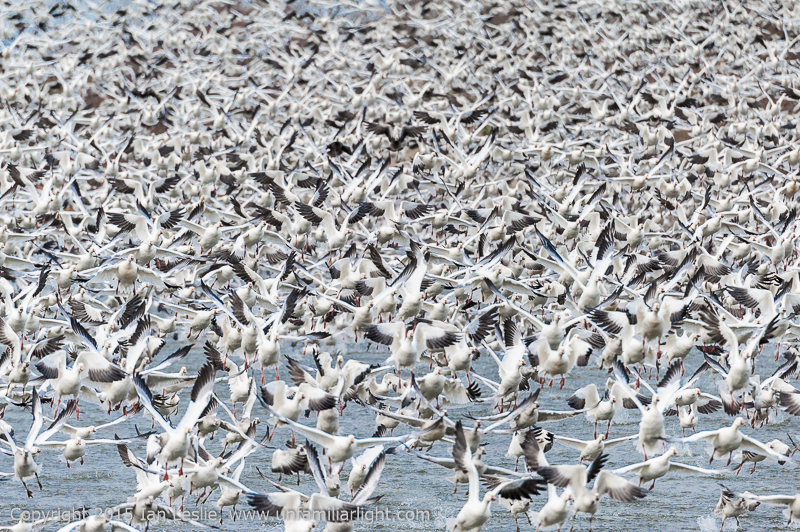 Later we did find a large flock of snow geese on the water in a near by quarry. This time we got much closer. 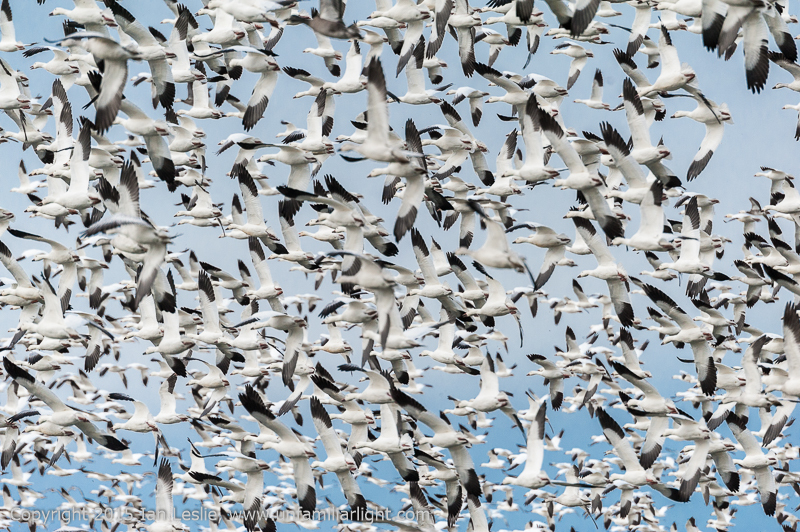 They filled the sky when they flushed!